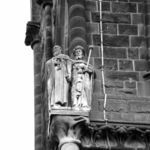 The beautiful St Matthew's Church was built in about 1378 by Ralph and Goditha Stathum. 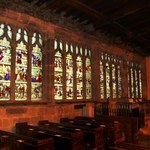 It has an amazing North aisle which features the glass and stonework from the refectory windows of Dale Abbey and date from about 1475. They were installed here following the dissolution of the abbey in 1539. 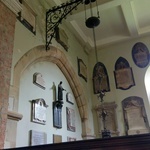 Within the church are a large number of monuments dating from the 1400s onwards. 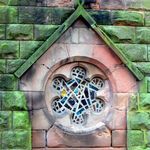 St Mary's bridge chapel, one of only six remaining bridge chapels in the country, is a rare survival of Derby's ancient past. The present building is believed to have been built in the fifteenth century, although the two arches on which it stands are the remains of the original, earlier bridge built in the 1200's. 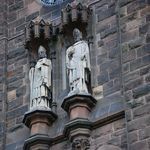 One of the most famous incidents involving the chapel was in 1588 when three Catholic priests were tried in the city for high treason. 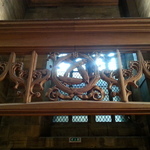 They were found guilty and were hung drawn and quartered and their remains hung over the entrance to the chapel. As two of them had been arrested at Padley Manor they have gone down in history as the Padley Martyrs. Over the years the building has had a number of uses, including a workshop and has been derelict on a number of occasions. 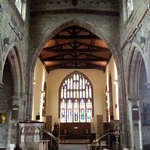 However in the 1930's it was purchase by the Derbyshire Archaeological Society and restored and again used as a place of worship, a role it still carries out today. St Peter's church is one of the oldest churches in the city. The earliest known records date to at least 1086, although it is thought to predate this by at least a century! 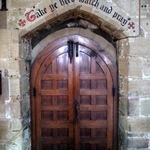 Rebuilt in 1350, it has been altered and parts rebuilt in the following centuries, however substantial parts of this 14th century building still survive and it remains an active place of worship to this day. 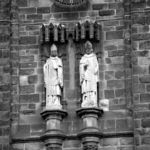 A detailed history can be found the churches own website. Over the centuries many parts of the church have been rebuilt. This is the remains of one of the tower pinnacles dating from 1485. 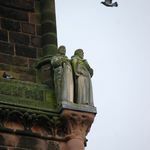 St Mary's Catholic church on Bridgegate was designed by the eminent Victorian architect Augustus W N Pugin and was completed and consecrated on 9thOctober 1839. 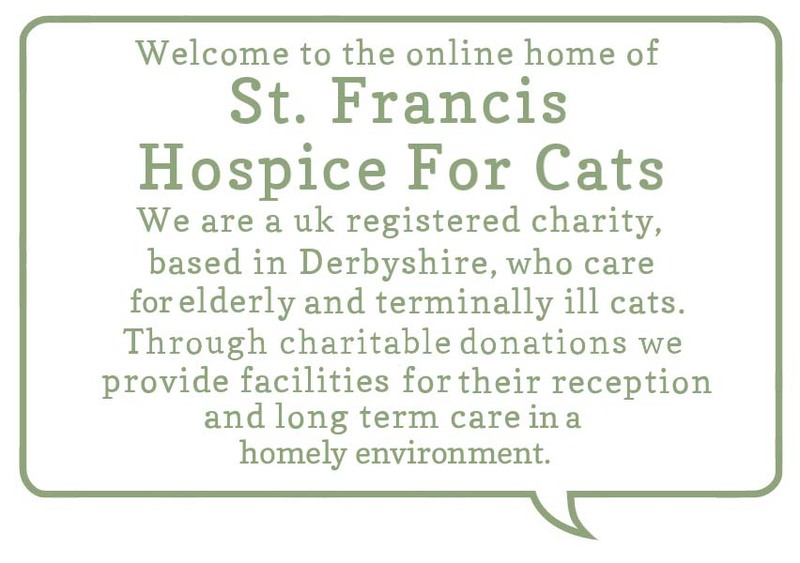 It is built on land that once formed part of the park of St Helen's House nearby, which was sold off as building plots in the 1830's when Edward Strutt moved his family to Belper. Pugin's original plans included an extensive and ornate convent adjoining the church, however this was dismantled only 10 years after construction and no trace survives today. The church, however, survives largely as Pugin designed it. A convent does exist however in the building next door to the church. Home to the Sisters of Mercy Order it was once the town house of the daughter of Lord Scarsdale who presented the property to the Sisters in 1862. 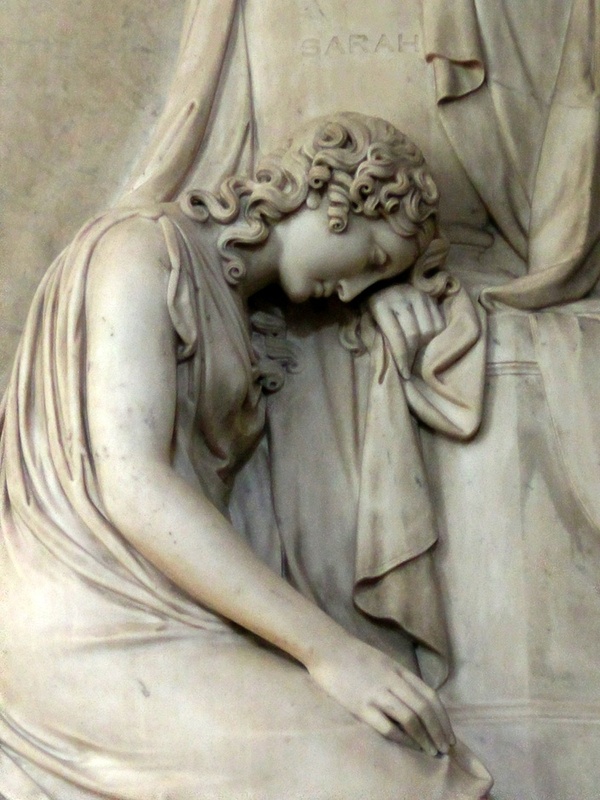 The main changes that have occurred include a Lady Chapel which was designed by Mr Hansom of Hansom cabs fame, a beautiful and ornate reredos and the reconstruction of a sacristy containing a sculpture of ‘the lifeless body of Our Saviour resting on the knees of His Virgin Mother, the head supported by St John and Mary Magdalen is kissing his feet, while angels bend down in adoration. 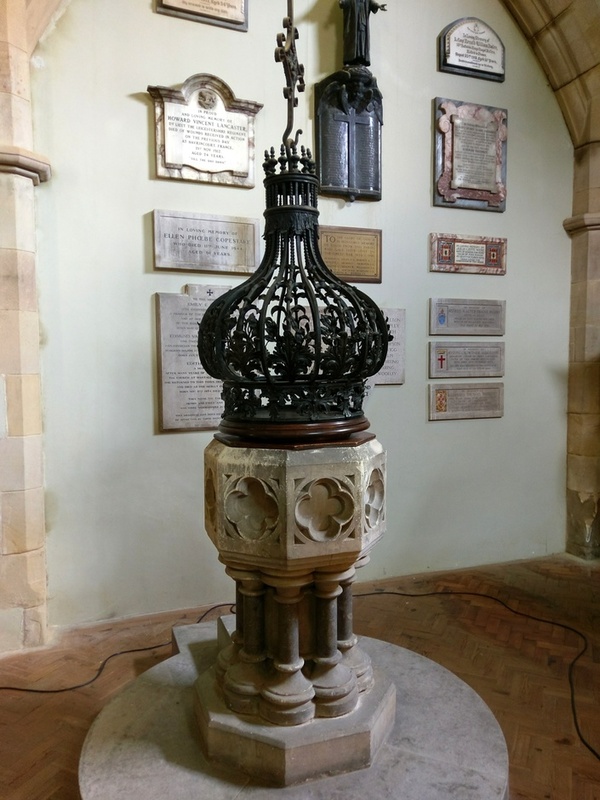 St Mary's was restored in 1986 to rectify the wear and tear of 150 years and remains a beautiful and graceful tribute to the skill of one of the 19thcenturies greatest designers, and continues to be used regularly for the purpose for which it was designed. The Friends Meeting House was erected in 1808 on King Street. 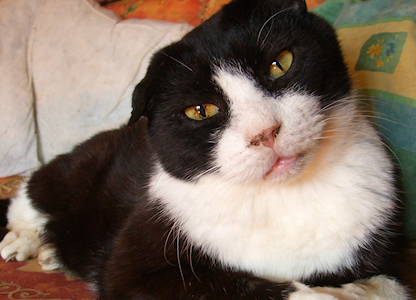 The Friends are more commonly known as Quakers and it was in Derby that the term was first used. 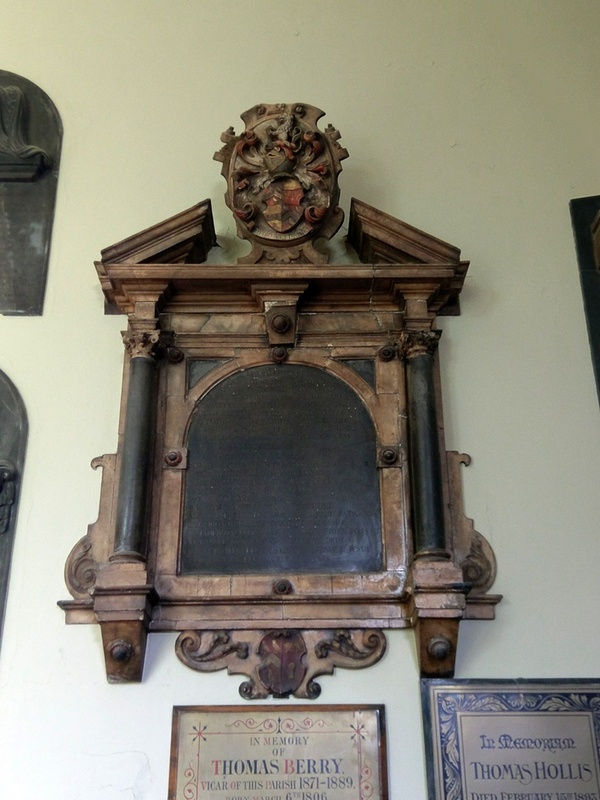 One of the founders, George Fox was arraigned before Mr Justice Bennett in Derby in 1650, and he bid that the judge "Tremble at the word of the Lord"
Although there has been a church on this site for many centuries the oldest surviving parts date only from the 17th. 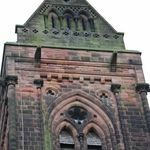 This is the tower, which was rebuilt in 1601 in the Gothic style, & the adjacent chapel, once the chancel, of 1699, which still retains much of its historic woodwork & monuments. It was here in 1735 that Dr Samuel Johnson married Elizabeth 'Tetty' Porter. 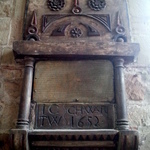 The church has been redundant for many years and the tower and chancel are now maintained by the Churches Conservation Trust and is open occasionally through the year. The buildings proximity to the old Markeaton Brook, has meant that more than once it has suffered damage or collapse due to flooding necessitating rebuilding of its various parts. 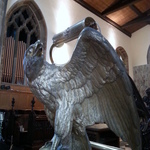 As a result the main body of the church dates only from 1893 -94 when it was rebuilt in the 15th century style be the celebrated architect Sir Arthur Blomfield. This part has now been converted into commercial use, although currently stands empty. 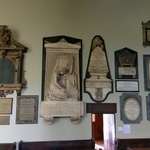 The pictures below show parts of the fine interior of the 17th century chapel, now known as the Johnson Chapel in tribute to Samuel Johnson who was married here. 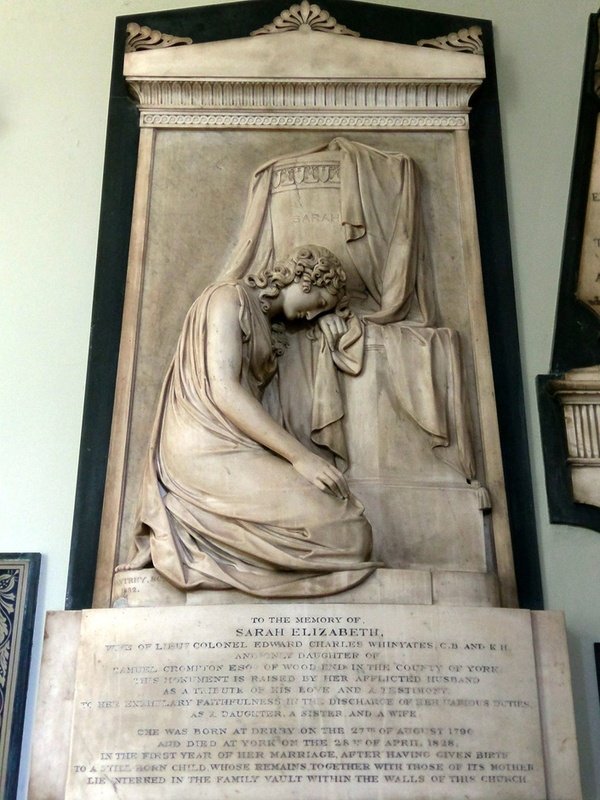 The beautiful monument below was erected in memory of Sarah Whinyates by her husband Lieutenant-colonel Edward Charles Whinyates. She had been born in Derby in 1790 and married in 1827. Sadly she died in childbirth only a year later. 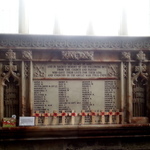 The memorial was created by Sir Frances Chantry at a cost of £600 at the time which would be the equivalent of £30000 today. 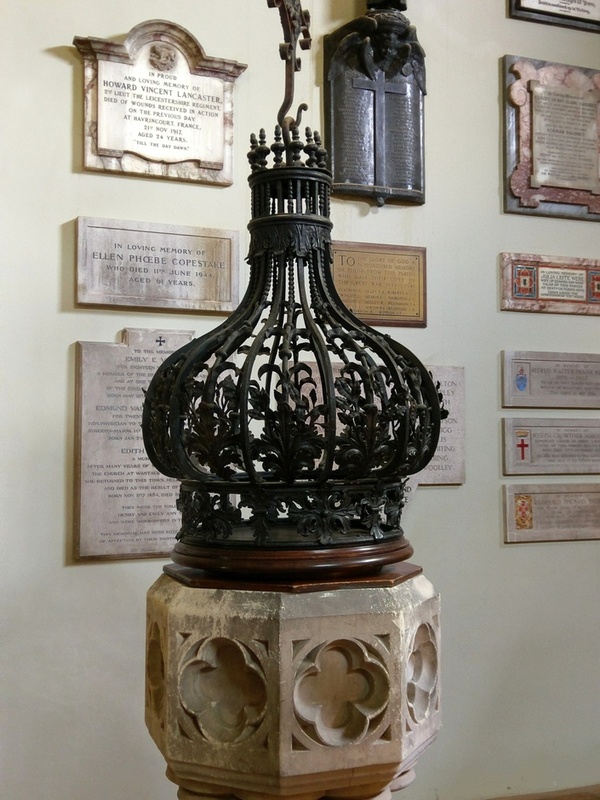 The closing years of the 18th century presented a challenging time for the Church of England. 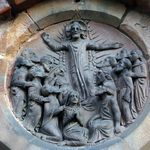 The rapid expansion of towns and cities brought about by the industrial revolution meant that there were now too few churches to accommodate the ever growing numbers of worshipers. 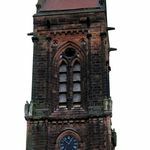 On top of this the Church was increasingly threatened by the rise of dissenters such as Quakers, Methodists and Baptists. 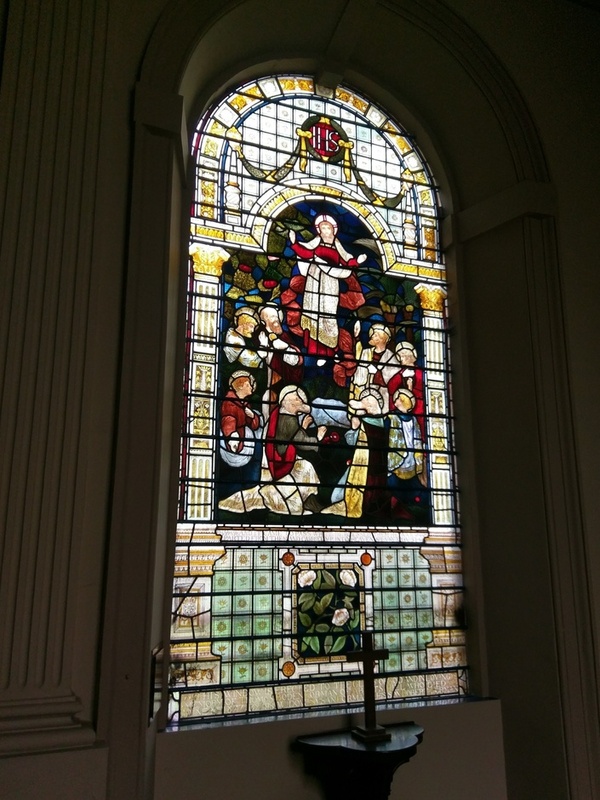 To combat this campaigns were launched to persuade the Government to carry out a major programme of church building with the result that in 1818 the Church Building Act was passed by Parliament. 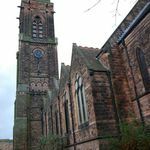 Under this a Commission was established that provided grants totaling £1.5 million (nearly £75 million today) for the building of 600 churches, known as Commissioners Churches, across the country. 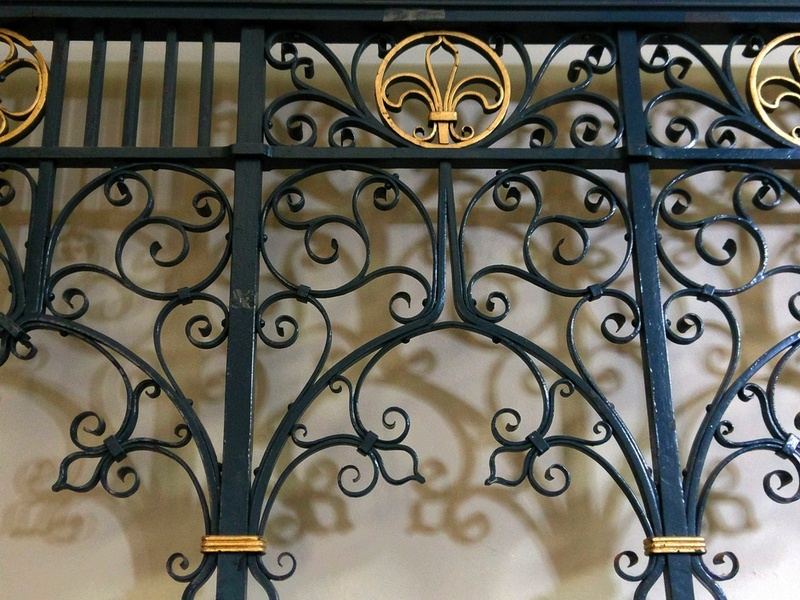 It was this scheme that enabled the building of Derby’s St John the Evangelist Church in the old West End. 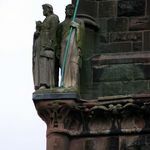 As a town at the heart of the Industrial revolution Derby was experiencing significant and rapid population growth and nowhere more so than in the West End, something recognised by the head of the church in the town, The Bishop of Lichfield. Following a grant application the Commissioners provided a not inconsiderable sum of £2547, this was increased by a public subscription to the value of £4300 and the land was donated by the local Hurt family who owned a townhouse on nearby Friargate. An architect named Francis Goodwin was hired to design the building. 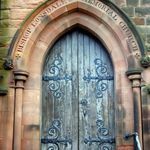 At the time of his appointment he was working on the new Vernon Street Gaol, however he had already designed a large number of Commissioners Churches across the Midlands using his preferred Gothic Revival style. Building was completed and the church consecrated in 1828. 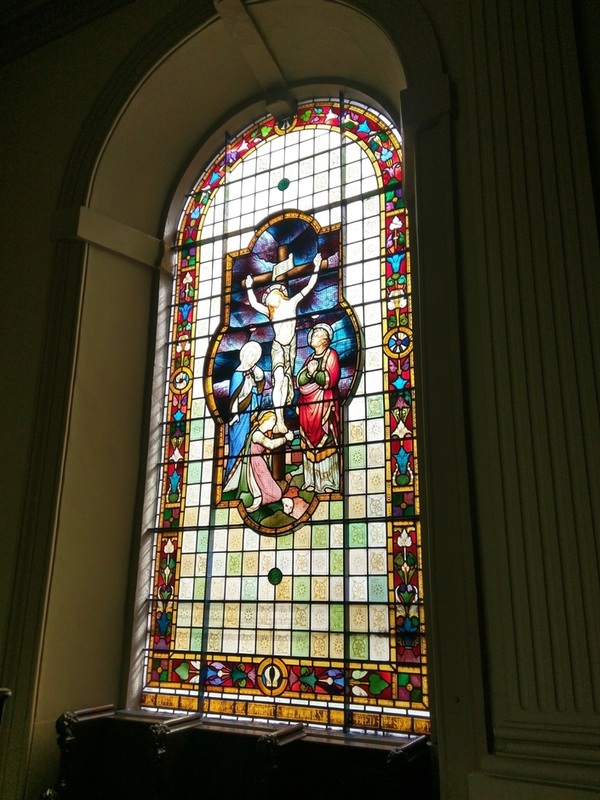 The unassuming nature of this small church on Queen Street actually belies a rich and ancient history. 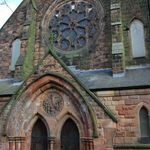 Although the current building dates only from the latter half of the 19th century there has been a place of worship on this site since at least the 11th century when it was in the possession of Darley Abbey. 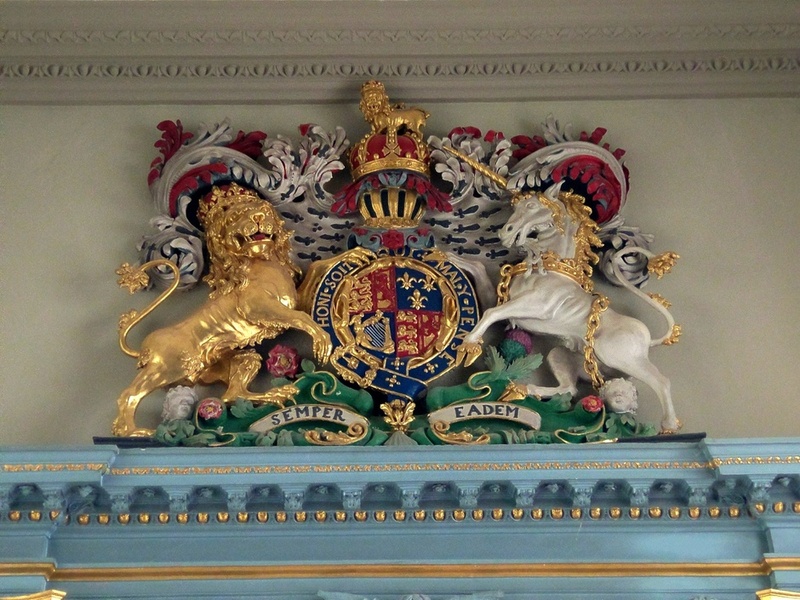 Following the dissolution it was given to the bailiffs and burgesses of the town by Queen Mary. In the 17th & 18th centuries the industrious engineer George Sorocold devised a means to provide the people of the town with fresh water to their homes. 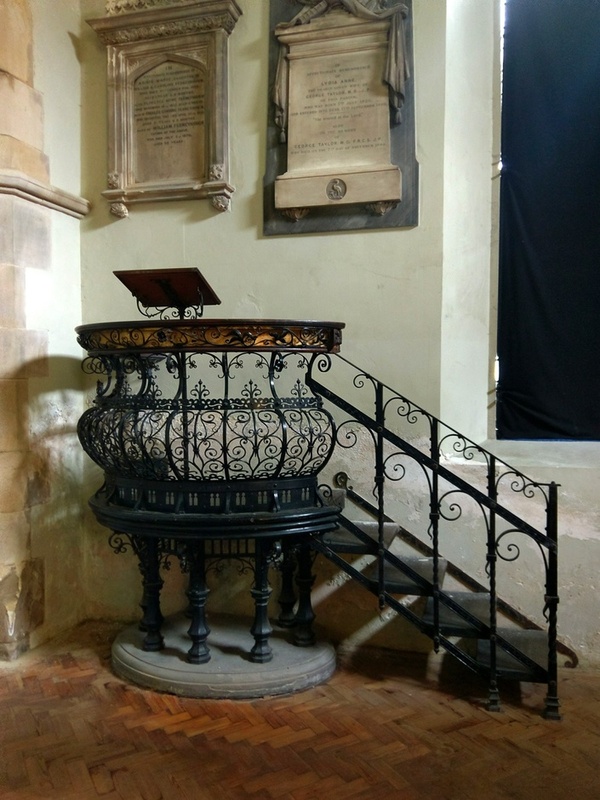 A large water wheel was constructed in the river and this fed water to a cistern in the churchyard of St Michael’s and then throughout the town by means of pipes made of elm wood. This system remained in use for about 100 years. In 1856 during a morning service the east gable of this ancient building collapsed resulting in the entire church being replaced in 1858 to the designs of H I Stevens although The Comprehensive Gazetteer of England and Wales, 1894-5 described the new building as ‘possessing no particular interest except for its fine communion plate’. St Michael's ceased to function as a church in the 1970s and lay empty until it was converted into the offices of architect Derek Latham. 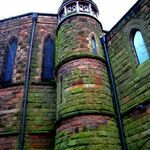 This imposing and austere red brick church is located in what was once the heart of the West End. Completed in 1871 and consecrated the following year it is a rare and fortunate survivor of the wholesale redevelopment of the area at in the second half of the 20th century. An article in The Derby Mercury about the consecration relates how Mr Mundy of nearby Markeaton Hall had been lobbied by a group of ‘working men’ seeking his assistance in creating a new and larger church due to a lack of space in their existing building on Leaper Street. 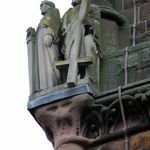 Built in the Gothic Revival style by F.W.Hunt the design was conceived to facilitate the highest form of Anglo-Catholic worship. As a result it included wide, processional aisles, a spacious Sanctuary and a rood carried aloft on a high beam. Wooden rood topped with carved figures. 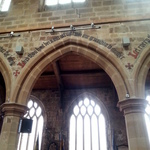 Chancel side walls painted and stencilled. Ritual east wall has pointed marble frame containing 9 frescoes, arranged as an ikonostase. 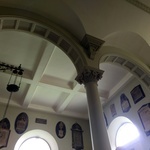 Chancel roof also elaborately stencilled. 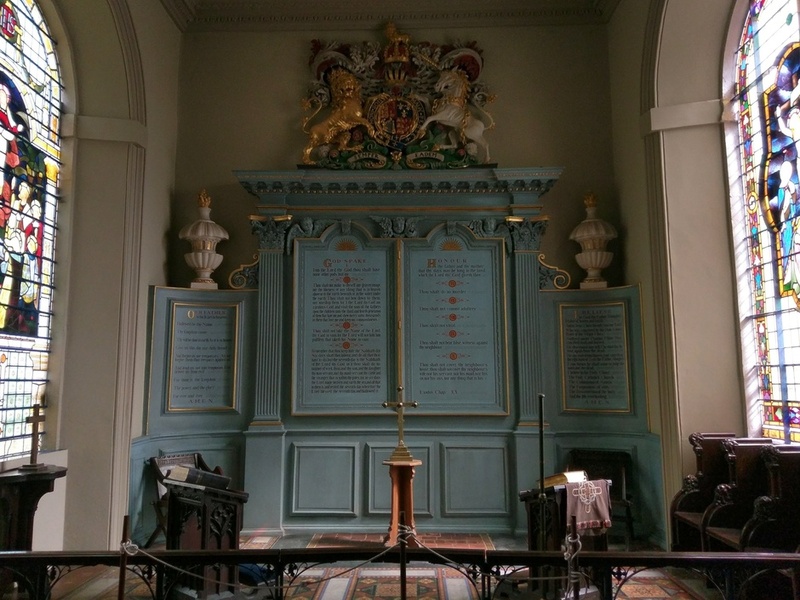 Painted wooden altar and reredos by George Walton c1910. Original wooden pews. Most windows contain good quality contemporary glass, some by Clayton & Bell. 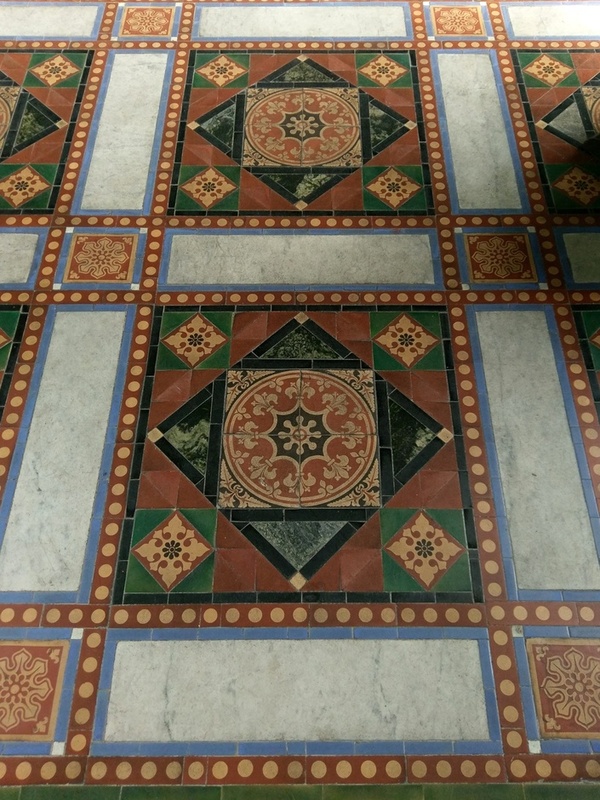 Minton tiles. 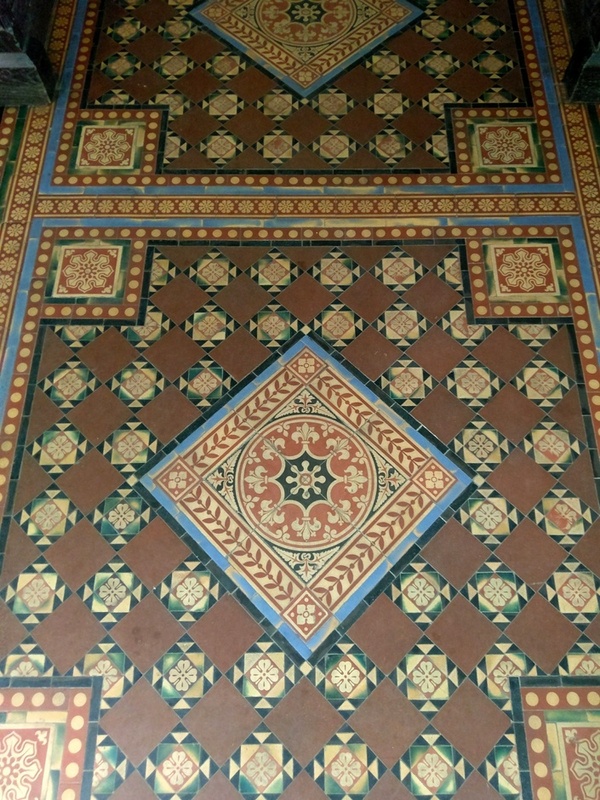 The Gothic Revival church has very fine quality internal painted decoration.